After watching friends and family struggle with different health ailments, Courtney Roundy wanted to help. And after hearing several people tout the surprising improvements they’d seen after using cannabidiol (CBD) products, he knew what he had to do: create a line of products featuring CBD and hemp that would help people manage their health issues. Read on to find out how Harmony Hemp is striking a chord with consumers and retailers alike, including their recent deal with GNC. With more than three decades of experience in the health and wellness and consumer packaged goods industry, Roundy knew that he had the contacts that could help make Harmony Hemp a hit. “I really just wanted to help people and I knew that with all of my contacts with food and drug I could get my brand to a large audience quickly,” he says. Those contacts, combined with Roundy’s knowledge of consumer behavior data, proved useful for supporting the launch of Harmony Hemp. 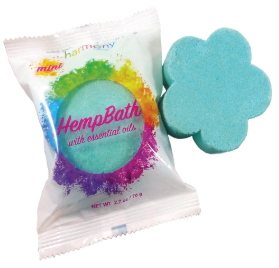 The brand has a wide range of products, from full-spectrum CBD to hemp products that address both general and specific ailments, in forms like lotions, bath bombs, and supplements. They even have a host of pet products, with more items scheduled to join the lineup. But there’s still a stigma around hemp and CBD products, Roundy notes, and that’s something that the company is actively working to dispel. “We had to bring hemp into the market and have it be trusted,” he says. “We wanted to bring it gently into the market.” They’re doing this through their packaging, with eye-catching, family-friendly designs. 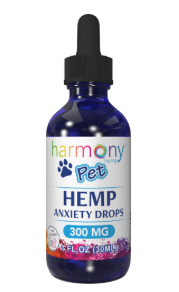 Harmony Hemp is also making a concentrated effort to educate not only retailers on their products, but also consumers. Having spent so much of his professional life in the CPG industry, Roundy was familiar with ECRM and understood its positive potential if leveraged correctly. He’s been attending ECRM sessions for the past nine years and was excited to learn about RangeMe’s integration with ECRM, and he has been thrilled with the synergy of both companies.